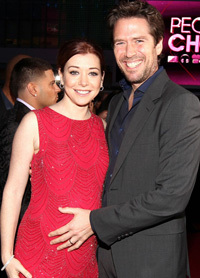 Congratulations to Alyson and her husband Alexis Denisof who welcomed their second daughter Keeva Jane Denisof on May 23. 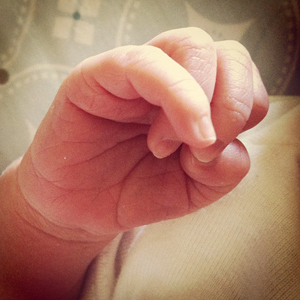 Alyson managed to keep the birth under wraps for weeks, but tweeted a photo on Tuesday of her baby girls fist, giving everyone its first glimpse of their bundle of how. She captioned the teaser: "Love." Here are a couple of glimpses of Alyson’s celebrity maternity fashion style we have brought you during the past 9 months.